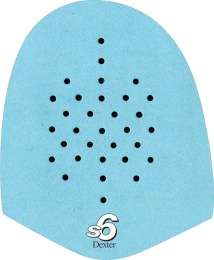 Dexter's SST replacement slide pads. To make sure that you pick the right slide pad for your style of play and lane conditions. All SST slide pads and heels are ONE SIZE FITS ALL. Please select size 9M to order.